Climbing develops a sense of balance, precision and courage, but the best part of it is that it comes naturally to everyone. The team behind Fun Walls combined these benefits with the growth of the climbing scene worldwide, and designed a series of interactive challenges. They have created an amusement attraction that embraces active entertainment and attracts a very wide public by not requiring any special skills or training. Fun Walls are suitable for a wide variety of indoor venues and locations. Elements can be made of fiber glass in order to be used outdoors. Some of our most popular Fun Walls can also be traverse! See some of the available options below. Our basic Fun Walls are climbing elements with an engaging appearance that give facilities a unique look. Climbers can work their way up a labyrinth, canyon or even a giraffe! 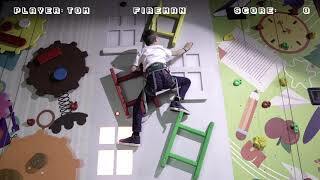 Our Premium Fun Walls take climbing to a whole new level. With interactive elements such as LED lights, moving holds, timers, knobs and buttons, each premium wall poses an extra dose of excitement! Meet the newest design possibility - the Fun Walls Graffiti Elements. Designed by a notable local graffiti artist, the new theme line aims to appeal better to teenagers and young adult and fit well in facilities with conteporary urban architecture and design. Each visual can be printed on a variety of basic Fun Walls. *Please note that the actual Fun Walls elements might differ slightly from the renderings shown. Our scoring system is designed to turn the Fun Walls experience into a competitive challenge, and to keep participants coming back for more. Not only does the new software promote group activities in climbing centers, but it also gives participants' visits a sense of purpose, as they are no longer coming in just to climb, but to beat their friends' high scores! 1. The participant is given an RFID bracelet. He scans it at the scoring system kiosk, and creates a new profile if he does not already have one. He then logs in. 2. In order to activate a climbing wall, the participant scans his bracelet at the wall's RFID checkpoint. He then selects a game/route. 3. The route is activated and the participant begins climbing and pressing the wall's interactive components. He reaches the end of the route as quickly as he can and presses the finish button at the top. 4. Participants' scores are displayed on scoreboards throughout the climbing center, and friends can try and beat each other's high scores! The OnBelay Device is Safety Engineering’s response to managing risk and reducing operational costs in climbing gym centers. The OnBelay is a hydraulic automatic belaying device that eliminates the need for a belayer. The device automatically retracts the cable during ascent and controls the speed during descent or in the case of a fall. The Self Belay is an innovative climbing connector, which increases safety in climbing and adventure centers by allowing users to climb only when they are properly attached to the device. The connector cannot be opened accidentally or on purpose during climbing - users can connect to and disconnect from the device only when they are on the ground. The Self Belay not only contributes to climbng safety, but also helps operations by reducing the number of required staff members. Participants as young as 5 years of age can use the device on their own. 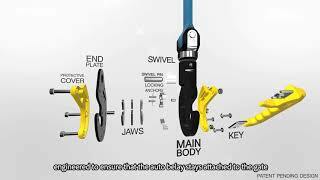 See the Self Belay in action by watching this video. There are some technical specifications that need to be kept in mind when determining whether or not your venue is appropriate for Fun Walls. Each Fun Wall element requires at least 6.5 meters ( 21 feet) of ceiling height. More height may be needed, depending on the height of the element itself. The standard Fun Walls heights are 6, 7 and 8 meters (19.5/23/26 feet), however, custom sizes are available upon request. Each climbing route requires an area of at least 10 square meters (107.5 square feet) for safety reasons. All elements are equipped with Onbelay Autobelay Devices, that can support climbers who weigh 15 - 150 kilograms (33- 330 pounds). Custom Custom Fun Wall sizes are available upon request. 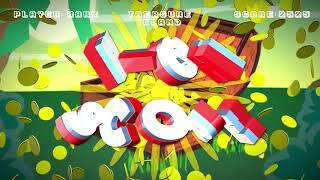 Funtopia Lehi - What Is Funtopia? What are Fun Walls made of? Where can a Fun Wall be installed? Standard Fun Walls elements are designed to be installed indoors on a concrete floor, and attached to the vertical support structure of an existing building. Selfstanding modules of the Fun Walls elements are available upon request. What are the age restrictions for Fun Walls elements? The recommended age is six years, although it is up to parents to decide whether their child can participate. It is most important to bear in mind that there is a minimum weight of 15 kg/33 lbs required. We also recommend that all participants under eleven years of age are accompanied by a guardian. What is the minimum height of the building where Fun Walls can be located? 6 meter elements require at least 6.5 m clear ceiling height. 8 meter elements require at least 8.5m clear ceiling height. Event room (s) - where corporate and birthday parties take place.